It's your 'business' to ask for the logo of professionalism! When dealing with pests that contaminate our food, environment and damage property, make sure you use a company that employs a qualified pest controller. 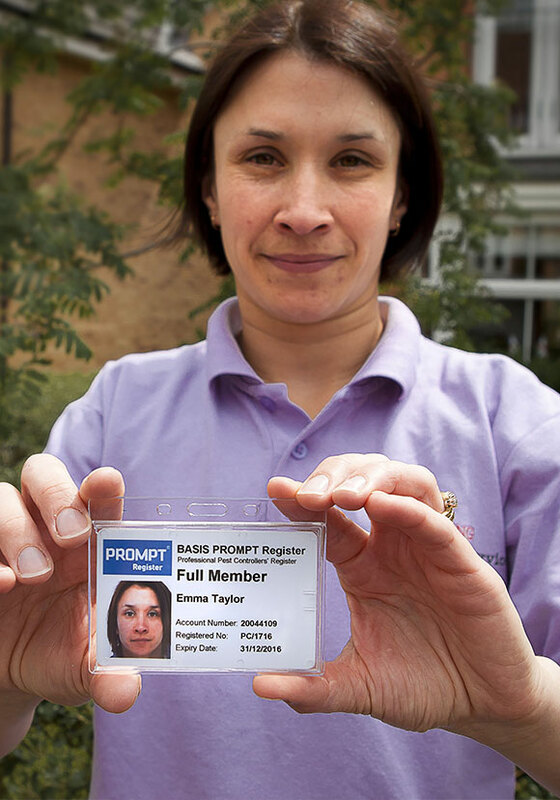 BASIS PROMPT is the register that ensures pest controllers have professional training and are fully qualified with up to date knowledge and skills, including legislation and current pest control practices. What does the membership of BASIS PROMPT mean? Membership is confirmation that a pest controller has attained or is studying to achieve a recognised professional level of training and competence. It also shows a commitment to ongoing & personal training and development, the mark of a true professional. Only members of the register will be entitled to carry the card. CPD is the structured maintenance, improvement and broadening of knowledge and skills through approved training and participation in events and activities which have been evaluated and awarded CPD points according to their content and value to the individual in his/her professional occupation.